"The Bible of business and personal productivity" - Lifehack"A completely revised and updated edition of the blockbuster bestseller from 'the personal productivity guru'" - Fast CompanySince it was first published almost fifteen years ago, David Allen's Getting Things Done has become one of the most influential business books of its era, and the ultimate book on personal organization. "GTD" is now shorthand for an entire way of approaching professional and personal tasks, and has spawned an entire culture of websites, organizational tools, seminars, and offshoots. Allen has rewritten the book from start to finish, tweaking his classic text with important perspectives on the new workplace, and adding material that will make the book fresh and relevant for years to come. He is the engineer of GTD®, the popular Getting Things Done® methodology that has shown millions how to transform a fast-paced, overwhelming, overcommitted life into one that is balanced, integrated, relaxed, and has more successful outcomes. GTD's broad appeal is based on the fact that it is applicable from the boardroom to the living room to the class room. It is hailed as "life changing" by students, busy parents, entrepreneurs and corporate executives. 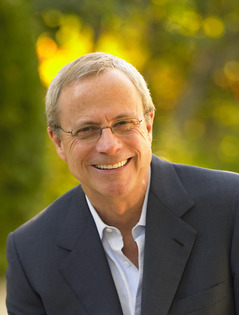 David is the Founder and Chairman of the David Allen Company, whose inspirational seminars, coaching, educational materials and practical products present individuals and organizations with a new model for "Winning at the Game of Work and Business of Life." He continues to write articles and essays that address today's ever-changing issues about living and working in a fast-paced world while sustaining balance, control, and meaningful focus.